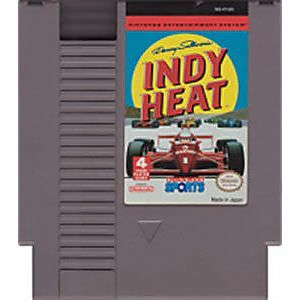 Indy Heat original NES Nintendo Game cartridge only - Cleaned Tested and Guaranteed to Work! 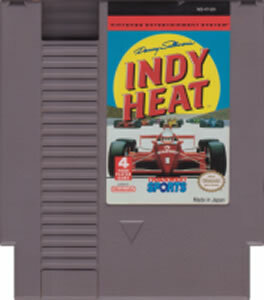 My favorite 4 player game on the NES. Its a little bit like Rc pro AM 2 but you see all the track on the sceen. You earn money after each race depending your position to upgrade your car and you see the performances change, its very satifying. You need this game you like couch gaming. Have you ever played "Ivan Ironman Stewart's Offroad?" 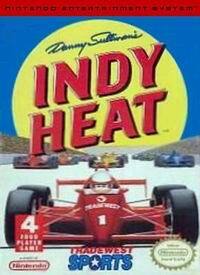 If yes, then you know exactly how this game plays - except with Indy cars on a racetrack, instead of trucks on dirt. If not, this is a top down racer where you steer your car around tight bends in order to overtake your opponents. The controls are tight and you can upgrade your car with your winnings. Multiplayer is good as well.